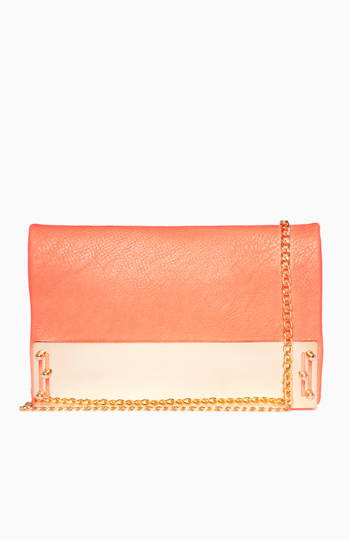 Faux leather fold over clutch featuring a polished gold colored metal plate across front flap, detachable chain link shoulder strap, one exterior zippered pocket on back and four interior card pockets. Just received this clutch. ..it is so cute...this is my first time ever ordering online. ..I'll be back! Luv it!